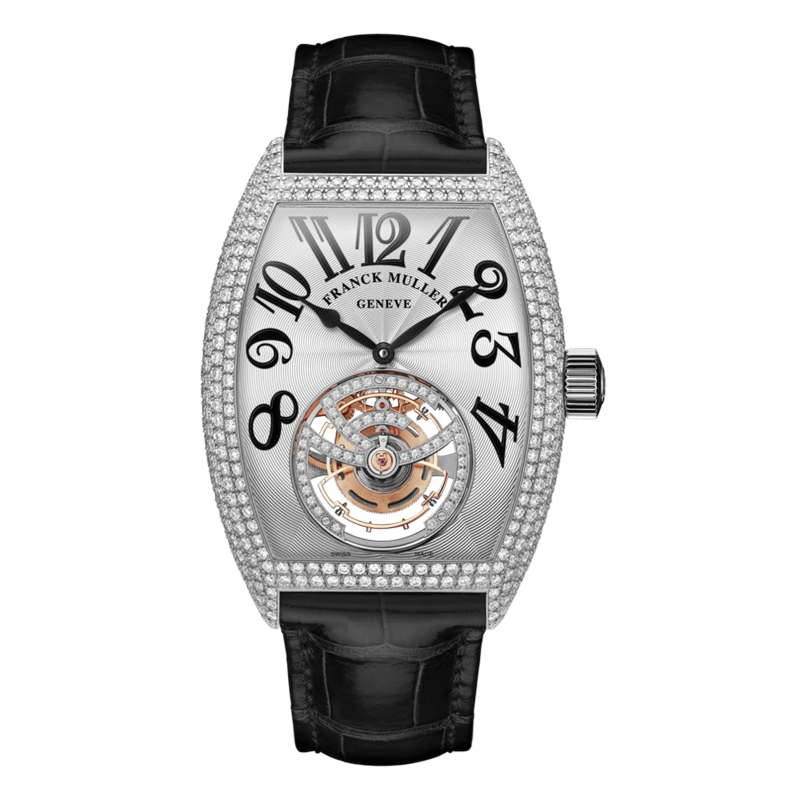 The Giga Tourbillon features the biggest tourbillon in the world ever seen in a wristwatch. 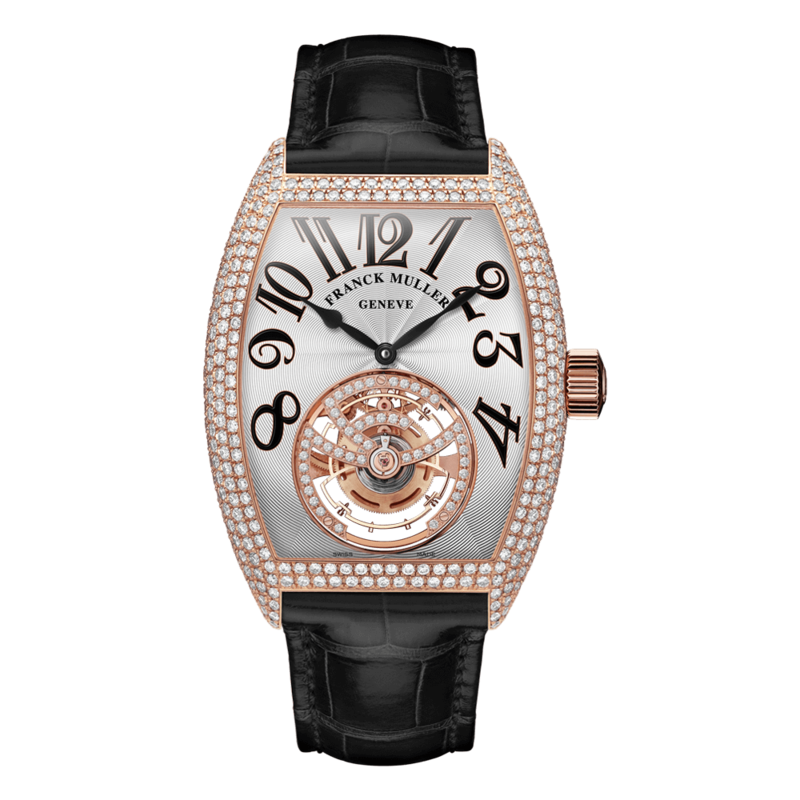 This masterpiece embraces a 20 mm diameter tourbillon on the dial that occupies half of the watch. 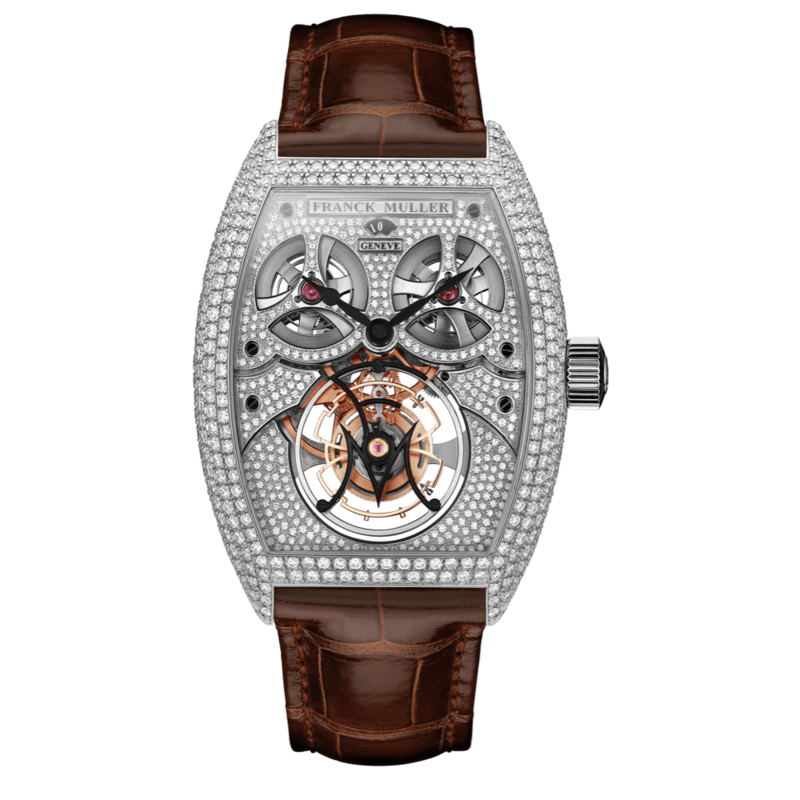 To power this huge tourbillon and to ensure the 9 days of power reserve, four barrels were necessary. 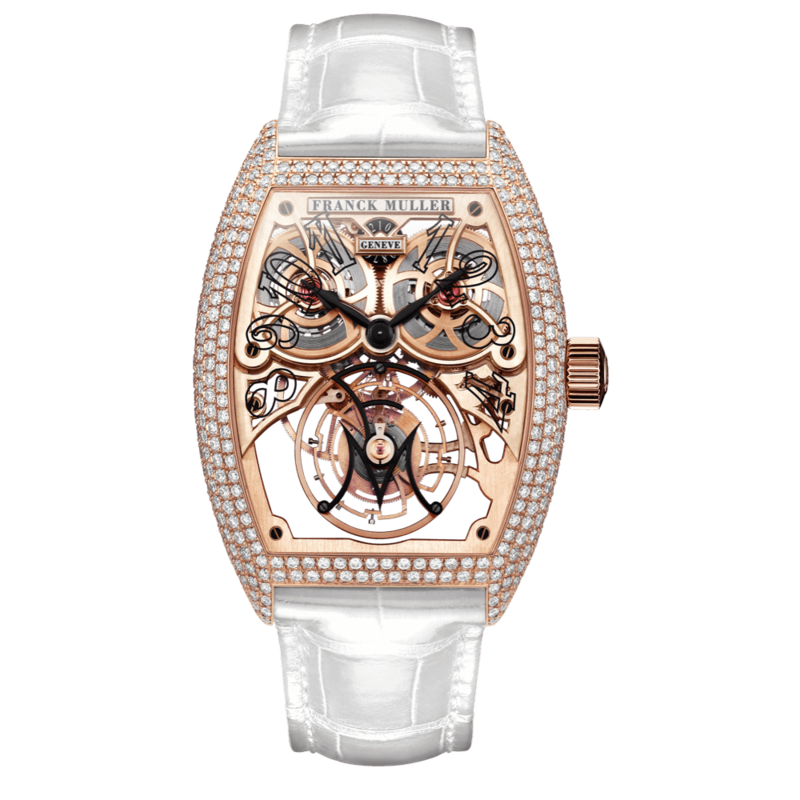 Furthermore, creating the Giga Tourbillon involved great efforts to lighten everything very substantially, hence the use of materials such as titanium and bronze barium. 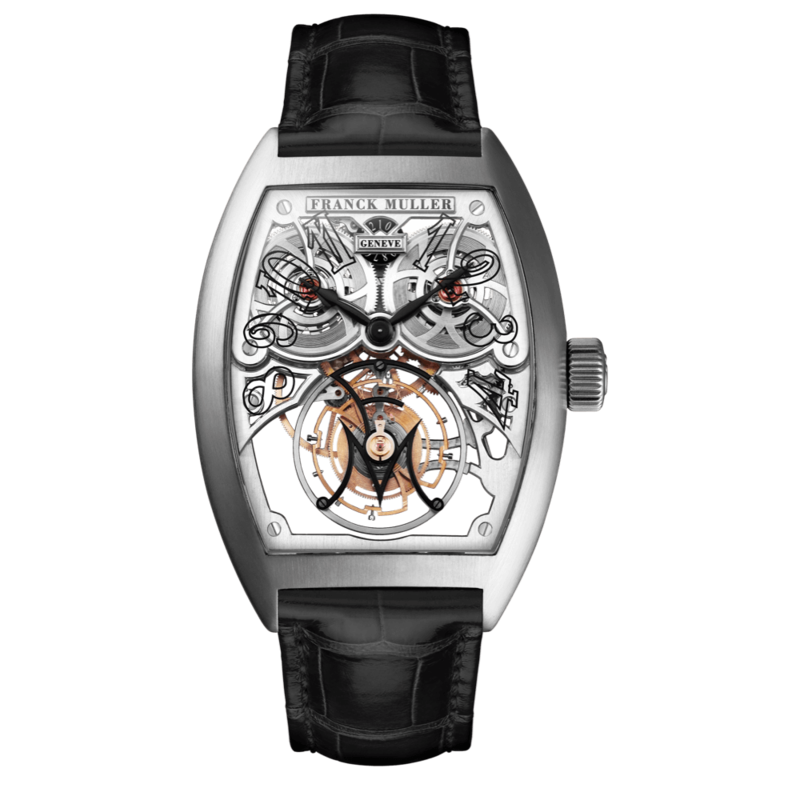 The technical challenges were great and Franck Muller R&D department has drawn all its expertise to carry off this remarkable technical feat.